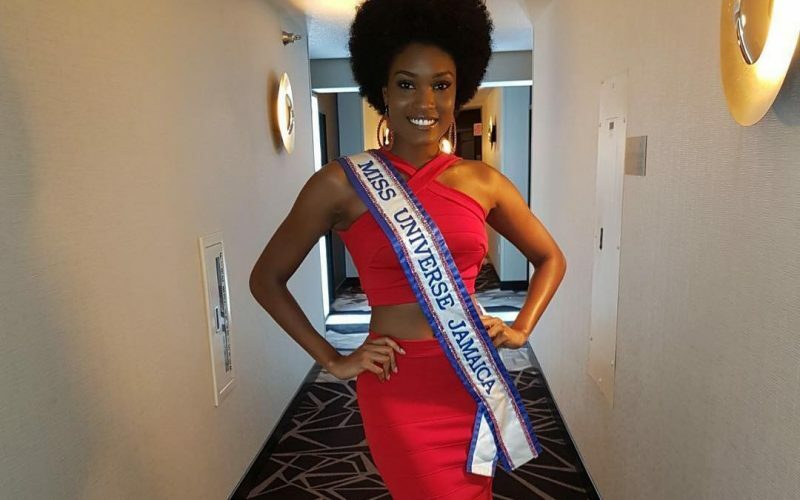 Miss Universe Jamaica Davina Bennett rocked an afro at Sunday night’s Miss Universe 2017 and she finished third place at the pageant held in Las Vegas. The beauty queen, who is hailed from Mitchell Town, Clarendon, became a big hit on social media when she wore a natural afro at the prestigious beauty pageant and finishes third among 92 contestants from all over the world. A large portion of the audience at the pageant erupted into boos when she was named the second runner-up and those back at home in Jamaica all thought that she was robbed of the title. South Africa’s Demi-Leigh Nel-Peters was crowned Miss Universe 2017 and her first runner-up is Colombia’s Laura Gonzalez. The fourth and fifth spot were rounded out by Thailand’s Maria Poonlertlarp and Venezuela’s Keysi Sayago respectively.